It should be no surprise Breville makes an exceptional microwave, since they make our favorite toaster ovens, espresso machine, and more. But, their appliances typically cost a pretty penny and rarely go on sale. 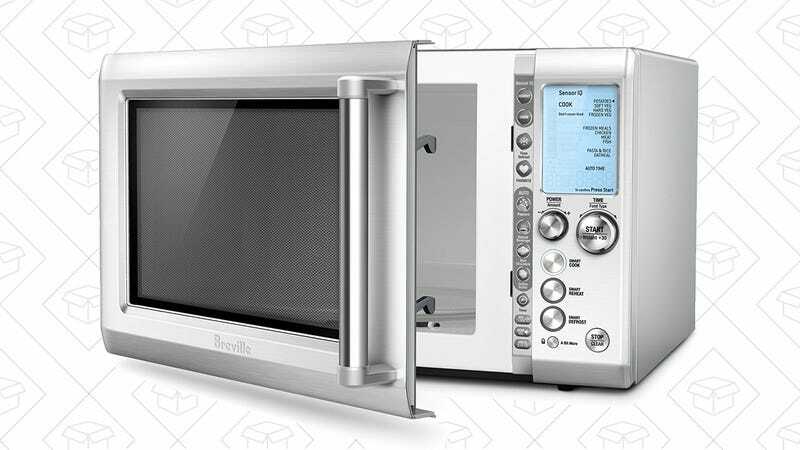 However, today, you can take home this Brevile Quick Touch microwave (a sibling of the best microwave, the One Touch Crisp) for the lowest price ever, and a good $40 discount from the usual. This One Touch has a ton of reheating and defrosting features, and although it has less crisping functionality when compared to the one Shane reviewed, it still has 10 power settings, and smart pre-set buttons for softening butter, melting chocolate, and more. So if you’re in the market for a new microwave, I wouldn’t hesitate.